Oil and gas exploration company, Cuadrilla, has scrapped all plans to undertake fracking at the controversial Balcombe site in the southeast county of Sussex, which was ridden with protests over the possibility last year. Thousands of anti-fracking demonstrators rallied in the county last summer, after the leading fracking company in the UK made incursions into the area, stating that its main aim was to drill a vertical well and monitor whether oil could be extracted. People blocked roads and chained themselves to barriers in the height of the protests, with scores of people arrested, including a local Green Party MP. However, the company has only canceled its plans because natural existing fractures in the rock have been found, and announced that it had no designs on the area “now or in the future”. “The presence of these natural fractures and the nature of the rock means that we do not intend to hydraulically fracture the exploration well at Lower Stumble,” stated chief executive officer, Francis Egan, in a release to the residents of Balcombe. Green campaigners further criticized the practice in general, telling the Guardian that the problem was not alleviated by the single instance of Cuadrilla stepping back. Oil was found at the site and the company still has plans to monitor the site's oil supply suitability, using flow testing which checks both the rate and amount of oil able to flow to the surface. 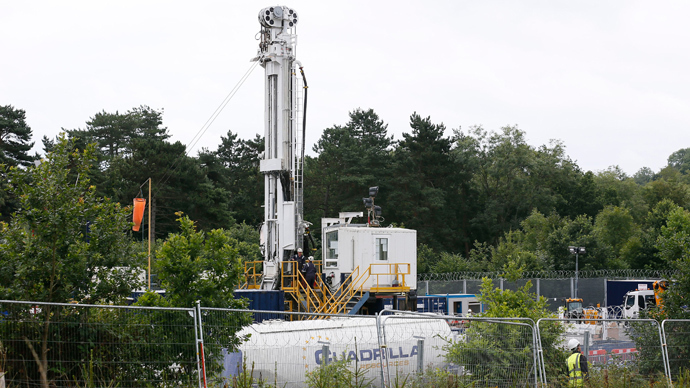 “The threat of fracking elsewhere in Sussex has not disappeared, with applications for drilling in Fernhurst and Wisborough Green by Celtique Energy. With mounting evidence of the threat climate change poses to our environment and economy, we should be developing clean energy solutions, not more dirty fossil fuels,” said Friends of the Earth's South East campaigner, Brenda Pollack. If permission is given for further tests, Cuadrilla will still need to ensure that the well will contribute to oil production at a commercially practical rate. Currently, the company has three further sites – all located in the north-west of England. However, work has stopped because of numerous problems including tremors. Hydraulic fracturing, or fracking, is the highly controversial process of injecting water, sand, and various chemicals into layers of rock, in an attempt to release oil and gas trapped deep underground. Supporters say fracking brings jobs and opportunities for energy independence, though detractors have pointed to exaggerated employment claims – not to mention the health risks related to chemicals used in the practice.